Beautiful classrooms, well-maintained grounds, and shinning buttons on crisp uniforms are all undoubtedly alluring to parents when touring schools, but what really makes a school great? Open-ended curricula seeks to teach children to learn through critical thinking instead of memorization. We discussed last week why memorization is not a laudable pedagogy and so let us address the reasons why critical thinking is so essential. Consider the math problem 1+2=3. There are many complex assumptions that one must make prior to being able to complete this problem. For instance, among other assumptions, you must understand that numbers exist, numbers represent objects, that there is a one-to-one correspondence between numbers and objects and that numbers are interconnected as part of a system. Requiring children to memorize the answer to 1+2=3 accomplishes and teaches nothing other than the answer to this one particular problem. On the other hand, a lesson that utilizes a child’s critical thinking skills will seek to help the child understand WHY the answer is 3 and not the fact that the answer is three. The lesson will draw the child to reason as to which concepts the abstract numbers represent, will give the child manipulatives to experiment with so the child can sense and feel the conceptual notion of numbers 1,2 and 3. A number line may be presented so the child can examine where 1, 2 and 3 fit into the number system. And finally, a teacher will guide the child to the answer of 3 by questioning the child’s logic when he is correct and incorrect so that the child concludes if he is right or wrong and why. A child that understands why his answer is right doesn’t need to wait for the teacher to grade his work or comment on his findings, because he already knows and he can apply his knowledge to the next problem. Without ever memorizing, this child learns multiple concepts and creates growth in the long-term memory portion of his brain. In order for instruction that challenges the intellect to occur, it usually requires smaller class sizes and an excellent teacher. However, some teachers are skilled enough to teach larger classes through this method, but if makes her job more difficult. Excellent teachers are a requirement, but small class sizes are not. Understanding pedagogy that use critical thinking as opposed to memorization also helps to explain why “advanced” curriculum (which is ahead by one grade level) is not always best. To really teach a child, you need to slow down and work at a rate that allows for deeper level thinking and contemplation. The time it takes to memorize and answer is significant less than the time is takes to understand a concept. Critical thinking skills are more valuable than memorized facts, but they take longer to develop. Think of the brain as you would a computer, do you want a computer with a giant hard-drive or do you want one with the best processor? Which computer took longer to develop? Which to do you want to use to solve complex problems? Let’s continue thinking about the child’s brain as though it were an actual computer (the brain is, afterall, a very powerful, yet mushy, computer). This brain-computer has a built-in program that is highly developed and specialized. Neurologist have discovered that a developmental map is sketch out in a child’s brain. The human child’s brain is, in computer lingo, programmed for ideal development. The brain initiates highly specialized periods of focused development in the first five years of life that scientists call critical periods. The brain is highly receptive during these critical periods to learning in the area that the brain deems as critical. For instance auditory processing, speech, physiological movements like walking, crawling, etc.., social learning, feeding, reading and the list goes on. The child’s brain will then guide the child towards making decisions during these critical periods to allow the brain more opportunities to obtain knowledge and skills. Every bodily action requires the firing neurons and every time a neuron is fired it pulses, grows and connects with other neurons. Learning happens when neurons grow and connect, therefore practice equals learning. For instance, a child whose brains decides it is time to walk will begin pushing up, cruising and attempting her first steps. The child does this apart from his care-giver and is the one to decide when this learning occurs. There is no need to force walking on a child before she is ready, unless there are serious developmental problems. The child will learn to walk without adult effort at the right time. Early academic learning is not much different. Unstructured play provides the child’s brain the opportunity to decide what it needs to learn, how much time should be devoted to learning and how learning should be accomplished. The alternate is having the teacher make these decisions for the child. Does the teacher know more about your child’s individual cognitive-developmental needs or does your child’s own brain/programming know best? Thanks to neuroscientists we have learned that the brain is highly intelligent and complex and is an excellent motivator and self-teacher in the early years. Adults are wonderful reinforces for lessons that the brain initiates, but children learn best and are motivated most when their brain initiates learning and adults facilitate and reinforce learning. Therefore, select a school where the teachers provide quality learning materials and unstructured time for children to explore, discover and initiate their own learning. Teachers then can observe, augment and guide learning based upon their observations of which lessons children are drawn towards, not the other way around. Piggy-backing on the rationale from the last section, let’s continue in our discussion of teachers. A great teacher is warm and offers the child comfort away from home. She is supportive of the child’s ideas and sensitive to his experiences, feelings and needs. A truly stellar teacher never tries to control or manipulate your child, but instead seeks to guide him through learning in social and academic contexts. That being said, it is nearly impossible to find a school where all the teachers meet this criteria. When you tour a school, observe the staff, faculty and principal and examine the school’s philosophy. Overly formal schools (public or private) seem to set an air of competition and falseness among the teachers. I have worked in schools where ambition, competition, gossip and favoritism plagued the staff and it trickled down to the teachers and affect how we taught. If school leadership models these negative attributes and behaviors to their teachers and staff, it is more likely that these ills will inform pedagogy. Finding a school filled with warm, supportive and non-controlling teachers can be difficult. You will need to get a feeling as to the tone of the school and it’s employees. Are they putting on a front? Do they seem overly concerned with performance and prestige or do they seem genuinely warm and interested in you and your child as individuals? Is the school flexible and willing to accommodate special concerns and requests or do they have a set way of doing things? Does the tour guide really listen to you and thoughtfully answer questions or are they dismissive? If you bring your child on the tour, do they talk directly to your child and listen to him or her or do they ignore the child and only talk to you? Are they testing your child for aptitude and only want to admit him if he is “gifted” or do they test to determine which classroom will be the best fit? When you parent, do you always parent your children with the same methods or do you modify your parenting to accommodate each of your children’s unique areas of weakness and giftedness? It is important that a school teaches your child in the same way that you parent- with concern and respect for the individual. How do you know if a school respects the individual learner? You’ll know by examining the student’s work product. Take a look at the walls. Do all the art projects look the same or is it acceptable for some students to paste the googly eyes near the toes and give their creature three hands instead of two? Occasionally, the objective of an art project is to teach step-by-step directions and it would be understandable that the art be identical in this case. However, most projects should have other objectives and so most student work products should be a little unique. Schools that respect the individual learner also do not keep the students in rows of desks. They usually have centers spread out around the classroom and a rug for group learning time. They allow the children to initiate their own learning and visit different centers accordingly. Great schools will also be willing to accommodate your child if he or she is not like the rest of their peers. Perhaps your child prefers standing when learning or needs extra time when completing an art project. Great schools are flexible and are more concerned about your student learning than they are with their set lesson plan and way of doing things. They are challenged by students and seek to serve them above all else. Would you rather have your children learn to do a difficult task himself or have the teacher do it for him? We adults can perfectionists and rather impatient with children at times. It isn’t easy to watch a child squirt a three inch puddle of glue on a piece of paper for one cotton ball, but it is important that they have the space to learn how to squirt glue. It is essential that a child can learn in an environment where she feels comfortable to try a new task, fail and then try again. Great schools allow children to make mistakes and learn, but even more importantly they respect the child’s intellect and capabilities and therefore offer the child responsibility over their own learning process. Overly nurturing schools do not provide enough limits and allow children to indulge their impulses, without requiring them to take responsibility for, let’s say, their coat that they threw on the floor. Overly strict and controlling schools expect children to always do as their told without question and are harsh and critical when they fall short and they might yell and censure a child for leaving his coat on the floor. Great schools understand that it is hard to always take responsibility for oneself, but they expect that a child can learn to do this with the understanding that it may be challenging and take time. A great school would firmly, yet kindly ask the child to hang their coat and not leave the area or start a new activity until he has done so. Are the students in charge of their own belongings? Do they participate in daily or weekly chores? Are they completing all their own work or is the teacher doing certain parts just so that it looks cute? Are the consequences for falling short reasonable and gentle? Does the school provide healthy incentives for proper behavior? Does everything have to be perfect? Do children have to routinely clean up and help each other? Do the teachers yell at the students? How is failure viewed? Ask to observe a classroom for 15 minutes and you’ll quickly pick up on whether or not the school has faith in the child’s ability to be reasonably responsible. 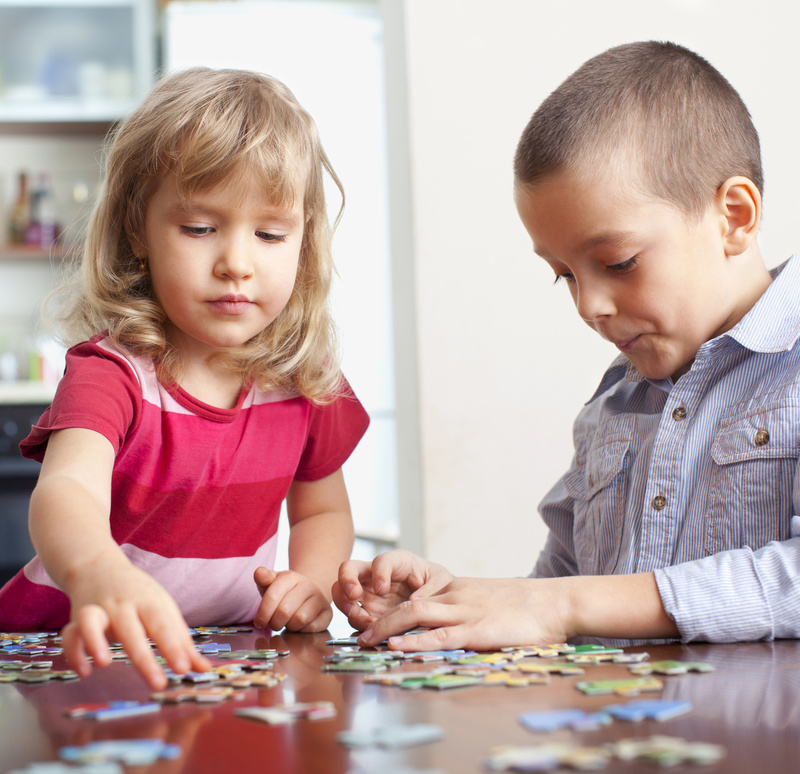 Birth Order: Does it Really Matter?